When choosing a wedding location the venue is always as important, if not more important, than the food, the date or the music selection. As for any other event, the location is one of the highlights of the day. Sometimes choosing the right one can be challenging and hectic. You need to estimate how many people you would like to invite and how many of them will actually make it. 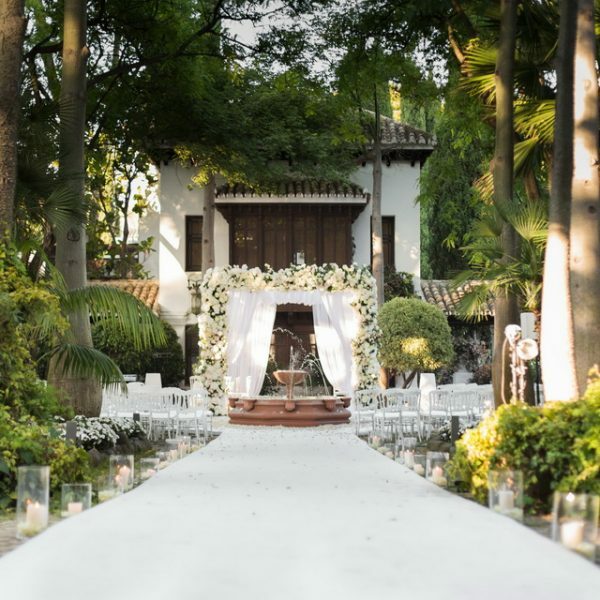 You also need to consider if the final number of guest would fit in the venue and once all of that is done, (what sometimes can be the most exasperating), check the availability for your dream venue. That’s why when M&C contacted us we did not hesitate for a second. Their location was not just original; they had a place with a breath-taking view and a history behind it. It was just unique! A piece of crystallised nature made true! St Michael’s Cave is located in Gibraltar. It has being one of the main attractions of the city since the days of the Romans and was the right scenario for this occasion. The ceremony was held in the top of Mons Calpe Suite and followed by a delicious afternoon tea prepared by the Lounge. As the afternoon wore on, all guests were guided to the caves. The venue couldn’t radiate more magic. The warm lighting all over the walls, sequins tablecloths and silver tiffany chairs were the root of this unique setting! All of this, together with a dance floor full of lights and the energy fizzled by the lighting violin of Quike. Thank you for your liveliness! We need to thanks again Sweet things by Fi for her three layers cake beautified with little sugar pearls that completely fit with the location style. We couldn’t have asked for a more special cake! And last but not least we would like to thank you to all the suppliers and the staff that helped during the day and the preparations to make this happen! We cannot be more grateful! !